Vintage New York City Magazine will share its latest magazine and raise funds for Project Ladybug, a charity for children. Project Ladybug was founded by Dina Manzo — a mother, philanthropist, reality star — and the epitome of the modern-day wonder woman. Dina Manzo is the “Mother-ladybug” who shelters young children suffering from life-threatening illnesses under her wings. Models, guests and celebrities will be joining together in celebration of all things vintage and charitable. A portion of the proceeds from the launch party will be donated to Project Ladybug, find out more by visiting . Inspired by the Speakeasy days of prohibition in New York City — and Project Ladybug’s adorable logo – guests will come dressed wearing vintage inspired gowns and suits in three classic colors of black, red and white. 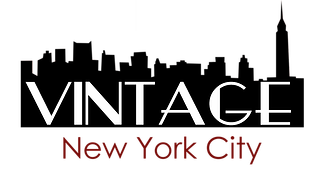 To learn more about the magazine, visit http://www.vintagenycmag.com.